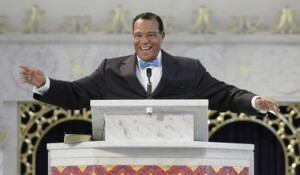 Louis Farrakhan, the controversial leader of the Nation of Islam, has accepted an invitation from a coalition of student groups to speak at Alabama A&M University on April 10, The Times’ news partner, WHNT News 19, reports. The Alabama A&M Poetry Club and the Alabama A&M Democrats were two of the student groups who invited Farrakhan to speak, according to WHNT. Poetry club president Kris Taylor told WHNT that Alabama A&M administrators gave the go-ahead for the Farrakhan appearance, which comes on the heels of anti-Jewish comments by the Nation of Islam leader. The Jewish Federation of Huntsville-North Alabama said they plan to meet with Alabama A&M officials and ask them to reconsider the invitation, WHNT reported. AAMU Community Have You Noticed The Hustle And Bustle Throughout The Hill?